Safer Cornwall will be supporting Domestic Abuse Awareness Week by holding a number of public events throughout the county from Monday 21 to Friday 25 November. 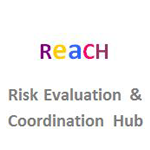 The week will be a celebration of the effective partnership working between the public, private and voluntary sector organisations across Cornwall, the primary aim of which is to continually improve community safety across the county. Safer Cornwall partners will be providing information to the public on the range of services they offer and how they can support individuals who may know of someone experiencing domestic abuse or those who are experiencing it themselves. Michelle Davies, Strategy Lead for Domestic Abuse and Sexual Violence said: “Last year approximately 8500 domestic abuse incidents were reported to the police in Cornwall. In addition, during the same period, the specialist domestic abuse and sexual violence services have received over 6300 referrals from individuals wanting support and advice. Domestic abuse is often described as a ‘hidden crime’ or happening ‘behind closed doors’; we want those impacted to come forward, from behind those doors and to access the support available. National Domestic Abuse Awareness Week is an opportunity for all services to highlight the wide range of fantastic support that is on offer and stand side-by-side to show our commitment to a zero tolerance of domestic abuse and sexual violence in Cornwall”. This year Safer Cornwall’s focus for Domestic Abuse Awareness week is people aged 60+. Older people experiencing domestic abuse can face particular barriers to accessing appropriate support services and so it is important to raise awareness of the specific needs of such victims. The launch of Domestic Abuse Awareness week will be at Tolvaddon Community Fire Station on Monday 21 November and is open to the public. A highlight of the morning will be The Upbeat Dreamers, an over-60s choir from Newquay Age UK day centre, setting off the week with upbeat singing open to all to attend. Friday 25 November – multi-agency attendance giving information, advice and support at St John’s Hall, Penzance from 1000 – 1300. 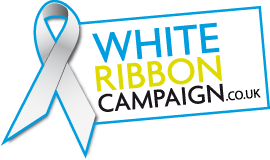 Devon & Cornwall police will be launching their White Ribbon campaign at the start of the morning to coincide with national White Ribbon day which is on November 25. It will also be International Day for the Elimination of Violence against Women.